Ross Brown and Fraser Potter were sitting on a beach in Byron Bay in Australia when the inspiration for Lovsushi struck. ‘There was a tiny unit there – just a 2m deli counter, really – making fresh sushi, and it sold out every day,’ explains Brown. Back home, and despite having no catering background, they set about training with experts while tracking down top-notch ingredients, utilising suppliers including Scotherbs and George Campbell & Sons. 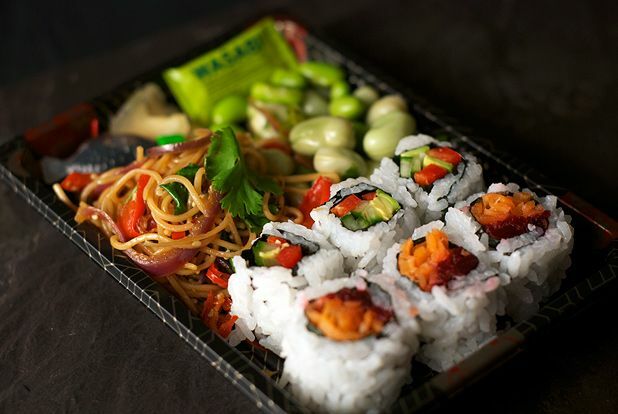 Now stocked by stores such as the Scottish Deli and Aberfeldy Farmfresh, their sushi stall appears at numerous events across the country too. The next venture from the Bankfoot-based duo is Lov Beef; small packs of Perthshire beef mince cured with an Asian-influenced marinade ready to be flash-fried and used in salads or with noodles.